Despite problems with current 10 percent fuel formulation, producers are pushing to raise it to 15. But boaters have until July 20 to make their voices heard. Steve Giallanzo was hit with a double whammy when the fuel dock in the marina where his business is located began selling the biofuel E10 - gasoline with 10 percent ethanol - last July. As a master Yamaha technician, Giallanzo was seeing a sharp spike in the number of disgruntled customers with fuel-related engine problems. At the same time, ethanol was taking a toll on the twin 150-hp 4-strokes that power his 23-foot Grady-White. 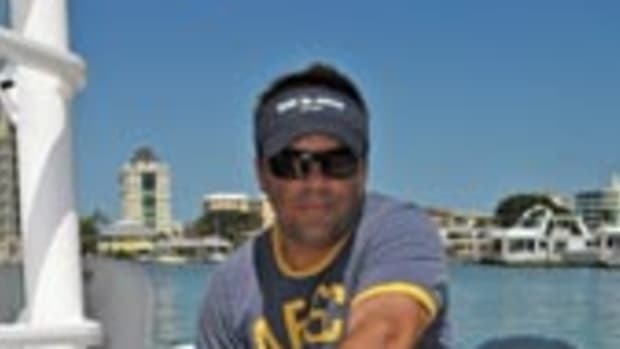 "I ran 800 hours without a problem, and then with ethanol the injectors were getting plugged up every 100 hours," says Giallanzo, the proprietor of Sailfish Marine Service in Stuart, Fla. "I go to the Bahamas all the time [to fish]. I don&apos;t need problems. The government should not be putting ethanol in marine fuel." Since it first appeared in the Northeast about four years ago, E10 has been a major headache for those who operate or repair marine engines. Engine manufacturers, mechanics and boatyard crews have worked hard to mitigate E10-induced engine and fuel-system problems. "We&apos;re managing," says Dan Crete, the head of customer service at Burr Brothers Boats in Marion, Mass. "[Dealing with E10] is part of the business." Crete and others may soon be forced to deal with gasoline with 50 percent more ethanol - E15. Growth Energy, a group representing the nation&apos;s ethanol producers, petitioned the Environmental Protection Agency in March for a waiver to allow ethanol blends of up to 15 percent. 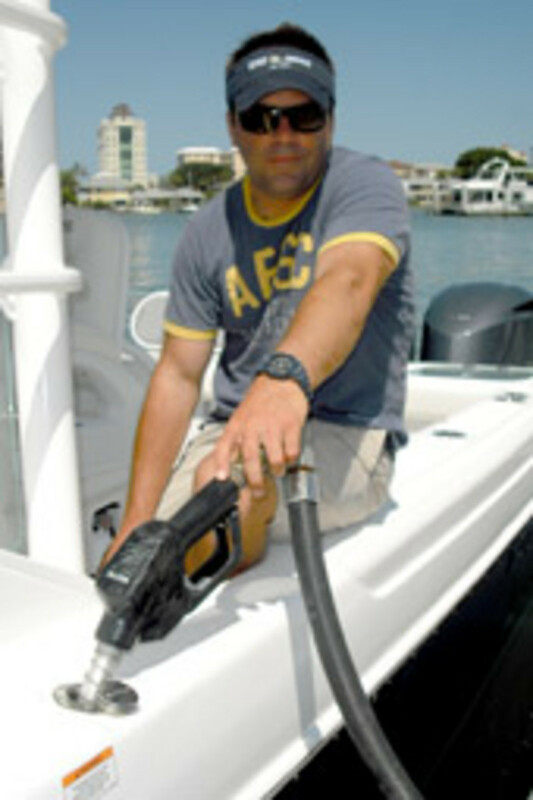 The National Marine Manufacturers Association, the boating industry trade group, and BoatU.S., the nation&apos;s largest organization of recreational boaters, argue that the EPA should deny the E15 waiver request until independent and comprehensive scientific testing is completed on a full range of marine engines and other products. On March 6, Growth Energy and 54 ethanol manufacturers submitted an application for a waiver of the prohibition of the introduction into commerce of certain fuels and fuel additives set forth in the Clean Air Act, including a waiver for ethanol gasoline blends of up to 15 percent by volume ethanol (&apos;&apos;E15&apos;&apos;). 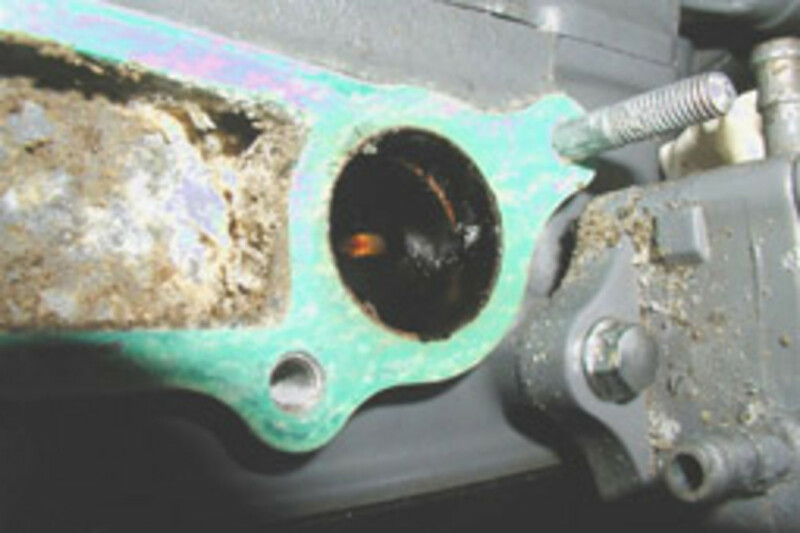 A new fuel filter for a Yamaha outboard compared to one with a residue found throughout the fuel system, which shut down its high-pressure pump. By statute, the EPA must grant or deny this application by Dec. 1. The EPA is soliciting comments on all aspects of the waiver application, including whether a waiver is appropriate for ethanol-gasoline blends over 10 percent and less than 15 percent. Written comments must be received on or before July 20. BoatU.S. and the NMMA in May urged their members to make some noise. They did. By late May, more than 25,000 concerned boaters and marine industry advocates had sent comments to EPA. The comment period was extended to July 20. "I had to remove the carburetor on my own outboard four or five times because of ethanol fuel," says Larry Holcombe in his letter to the EPA. "If I had to pay for this, it would have been $300 or $400. A small fiberglass fuel tank that started coming apart and leaked in a sailboat cost a friend over $1,500 to replace." Comment through the National Marine Manufacturers Association. Read the docket on Regulations.gov and follow the instructions for submitting comments. Mail (include two copies of your letter): Air and Radiation Docket, Docket ID No. EPA-HQ-OAR-2009- 0211, Environmental Protection Agency, Mail code: 6102T, 1200 Pennsylvania Avenue, NW, Washington, DC 20460. "A few years ago no one thought there would be any problems with E10, and there were," says BoatU.S. vice president of government affairs Margaret Podlich. "Boaters got stuck with the tab for repairs. Independent authorities have not tested higher levels of ethanol in marine engine systems, and its use may void a warranty." Gasoline with ethanol attracts moisture, and because boats are kept in damp environments, accumulation of moisture is inevitable in their fuel tanks. The mixture encourages the growth of bacteria, which collects as sludge and can be drawn into the fuel system, clogging filters and fuel passages. In 2005, when ethanol first appeared in the Northeast, boatyards, marinas and engine manufacturers began scrambling to alleviate the engine and fuel-system problems the additive was causing. To arm its dealers with tools to ward off engine malfunctions, the Yamaha Marine Group has held a series of webinars. These live online conferences attracted more than 80 Yamaha dealers, according to the company. "E10 is not optimal for use in the marine environment largely because it dissolves contaminants in marine fuel tanks and absorbs moisture from the environment," says Yamaha communications manager Martin Peters. "These issues can be minimized with vigilance and preventive maintenance, and that is what we are encouraging among dealers and the public."